The Association of the United States Army Institute of Land Warfare Global Force Symposium & Exposition begins Monday and will be held through Wednesday at the Von Braun Center, Huntsville, Alabama. NCS Technologies is at Booth #130. NCS is demonstrating its own desktop virtualization solutions and Getac rugged products. 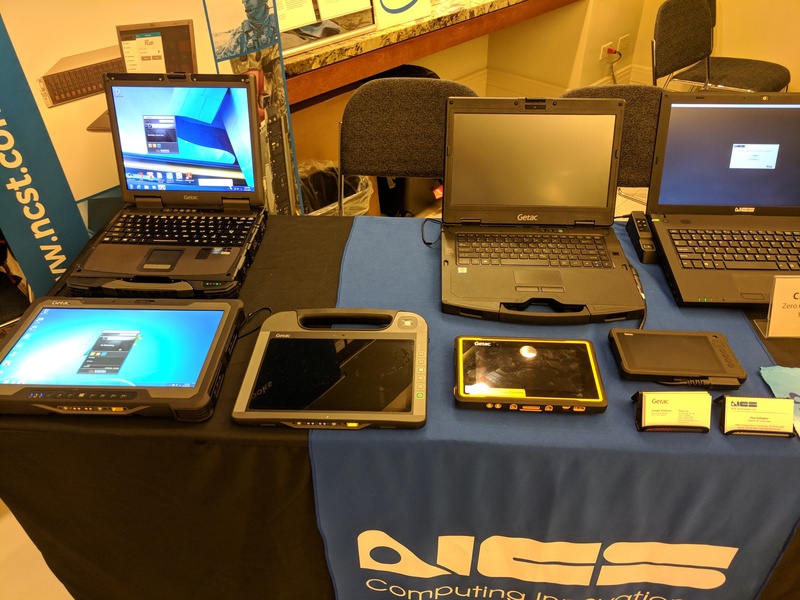 Getac platforms on display include the B300 ultra rugged notebook, the V110 fully rugged convertible, the S410 semi rugged notebook and the F110 fully rugged tablet. Getac's B300 delivers high performance, security and long battery life. The V110 is a compact and lightweight fully rugged convertible. The S410 semi rugged notebook delivers strong performance, security and durability. The F110 fully rugged tablet offers a 11.6 inch screen and thin and light design. The NCS zero client portfolio leads the virtualization industry in manageability, reduced cost of ownership and improved security. VMware is our virtualization platform of choice. This platform improves availability, performance and utilization of IT resources. At Booth #130 meet Army Sales Manager, Erin Dunn, or call her at 703-743-8639. To learn more about NCS zero clients solutions right now, just download this brochure. Virtualization is complicated. The answers are right here.